Emirates, the world’s largest international airline, rounded off another year of growth in 2016, underlined by fleet and network expansion as well as customer-focussed product investments. 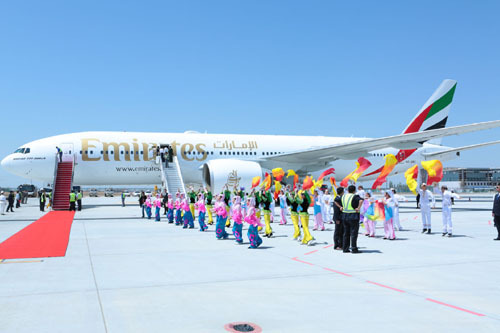 Emirates scaled up its fleet in 2016 with the addition of 36 new aircraft, consisting of 20 A380s and 16 Boeing 777-300ERs, while retiring 29 older aircraft. The airline concluded the year with 255 aircraft in service, with an average age of five years, significantly below the industry average of over 11 years. Emirates unlocked seven new passenger points and one cargo destination in 2016, rounding off the year with 154 destinations in its global network.